Its a Wonderful Movie - Your Guide to Family and Christmas Movies on TV: 💮 Look what that HALLMARK CHANNEL is "Spring"ing Upon Us in MARCH - Original & Christmas Movies! 💮 Look what that HALLMARK CHANNEL is "Spring"ing Upon Us in MARCH - Original & Christmas Movies! 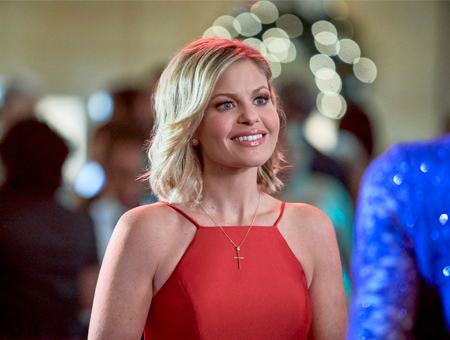 Hallmark Channel's web-site now has listed all the New Movie Premieres coming soon... in the month of March, along with the classic Christmas movies that will continue to air on Friday nights! *PLEASE NOTE: These Premiere Dates below may change - please check back for any scheduling updates! *True Love Blooms/Garden Party - Premiere Date Unknown - in April? Storyline via Hallmark: When Kelly and Jason, exact opposites, compete on a famed cooking show for the chance at their own restaurant, what will matter more – their culinary careers or their potential love? Storyline via Hallmark: Lucy wasn't sure if she would find true love, until Jack moves to town with his daughter Sophie. Together they teach her it's never too late to start chasing rainbows! Storyline via Hallmark: Two single parents come head to head when their kids want to adopt the same dog. Agreeing to co-foster, free-spirited Kate and type-A Eric must work together to find the dog's forever home. Storyline via Hallmark: As she considers giving up on her artistic dreams, Jamie paints a vision board that brings her success and love - only to discover that the mystery man in her painting isn't who she thinks. Storyline via Hallmark: Spring is in full bloom when urban gardener Vicki fights to save her community garden from a handsome real estate developer. Both are caught off guard when it's not just the flowers that are blooming, but also love. There is so much to look forward to seeing in March... including more of "When Calls the Heart" Season 6 and all new Hallmark Movies & Mysteries! See all of these details in the Movie Schedule - Here! I love Christmas movies and so glad they will be every Friday!!!!!!!!!!!!!!!!!!! 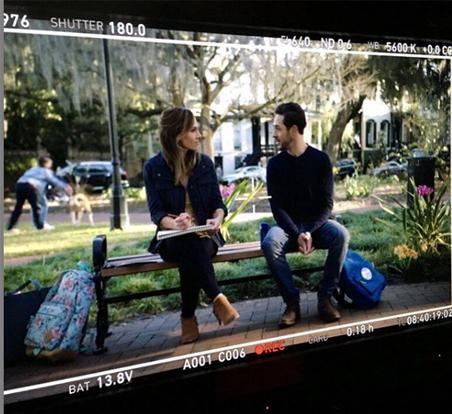 Cannot wait to see Nikki DeLoach and Michael Rady together. They are two of my favorite actors. Gotta kidding me not another adopt same dog movies!!! When the owner’s dog lost or run away when the family adopt someone’s dog? I know, there was a survey Hallmark sent out I think it was either at Christmas time or before countdown to Christmas in reference to this movie. I was like "is this Puppy Love or The Christmas Shepherd all over again?" But for some reason, I am a sucker for those types of movies, I love it when a dog or cat or any pet can bring 2 people/families together. Oh and even Ambrose in Nine Lives brought Merrilee and Brown eyes together, it is so sweet. Yes, there are often some familiar repeat stories in Hallmark movies, but in the end, we watch them all. Don't we? I know I do. "Truly, Madly, Sweetly," which also starred Nikki Deloach had a similar theme from "All of My Heart." Only in this instance they shared a bakery and not a house/potential B&B. This story in it's own way was also very sweet. There's also the popular theme of loosing a business, and then, they somehow save it OR someone realizes they've been working too much, and they really are happiest back in their small hometown. Lost and Found sounds just like Puppy Love (Candace Cameron Bure and Victor Webster). Yes, it sounds very close! Only in this instance, they both have children who want the dog. After watching Bramble House Christmas for about the 100th (lol) time I was wondering where David Haydn-Jones was, and now I see we'll be seeing him again!! I seriously love David Hadyn Jones in his State Farm commercials as Aaron Rodgers "agent". My favorite is the one when he says there is a fire in the bathroom in Aaron's house and they ask if he was in their last and he says no, that he's never gone to the bathroom before, ever. But then I think he says, ok I was in there. Most commercials all Aaron wants is his truck fixed from his state farm agent and DHJ shows up to say he is his agent and what does Aaron want, a new contract? 20 years? Its hilarious. Ooh, lots to look forward to in March! I am SO happy to see Love Under the Rainbow finally on the schedule! I've been waiting a year for that. Big fan of David Haydn-Jones. I'm also excited to see Tyler Hynes in another movie. He's a new favorite of mine. Looking forward to seeing Michael Rady and Nikki DeLoach together too, and of course, I always love seeing Luke Macfarlane. In other words, I'm looking forward to all the movies! Please be sure to check back for any updates! As she considers giving up on her artistic dreams, Jamie (Arielle Kebbel) paints a vision board that brings her success and love - only to discover that the mystery man (Nick Bateman) in her painting isn't who she thinks. That's exactly what I'm seeing, too! I have updated the information above.